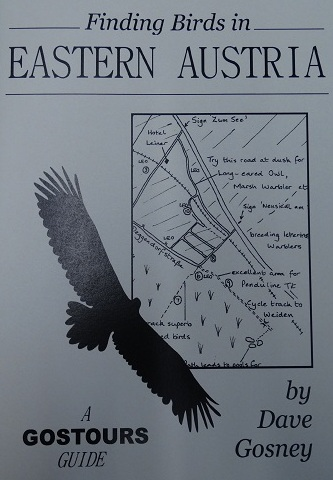 Eastern Austria has the benefits of a great variety of habitats (lakes, mountains, plains, woods and vast reedbeds) all within a very small area and reachable within a days drive from Calais (if two or more take turns at the wheel). Without too much expense it is therefore possible to enjoy a great holiday featuring amongst others, River, Barred and Savi's Warblers, Syrian, Middle Spotted and Grey-headed Woodpeckers, Collared Flycatchers, Alpine Accentors, Alpine Choughs, Great White Egrets and the magnificent Great Bustards. 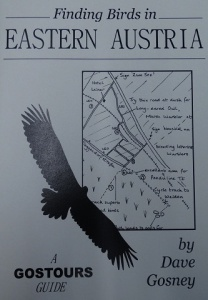 This book features the following sites: Wienerwald (Vienna Woods), Marchegg, Schneeberg, Hohe Wand, Neusiedlersee (Northern End), Neusiedl am See, Neusiedlersee (Eastern Edge incl. Western Seewinkel), Lange Lacke and Eastern Seewinkel, Hansag and the Einser Canal.